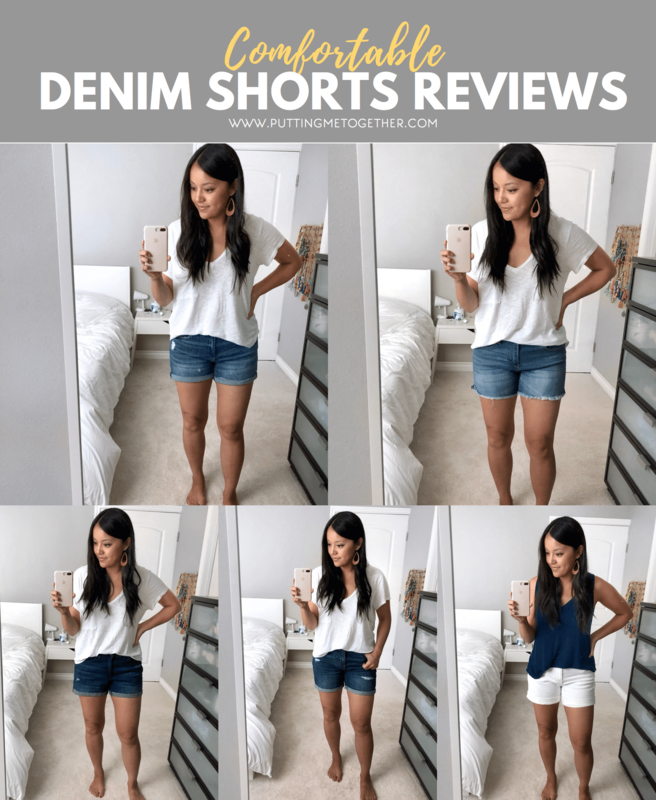 Denim Shorts Reviews - Stretchy, Comfy, and Affordable! I have always had a hard time with shorts. They are either too short at 3″, not wide enough around my legs, or are stiff and straight up uncomfortable. 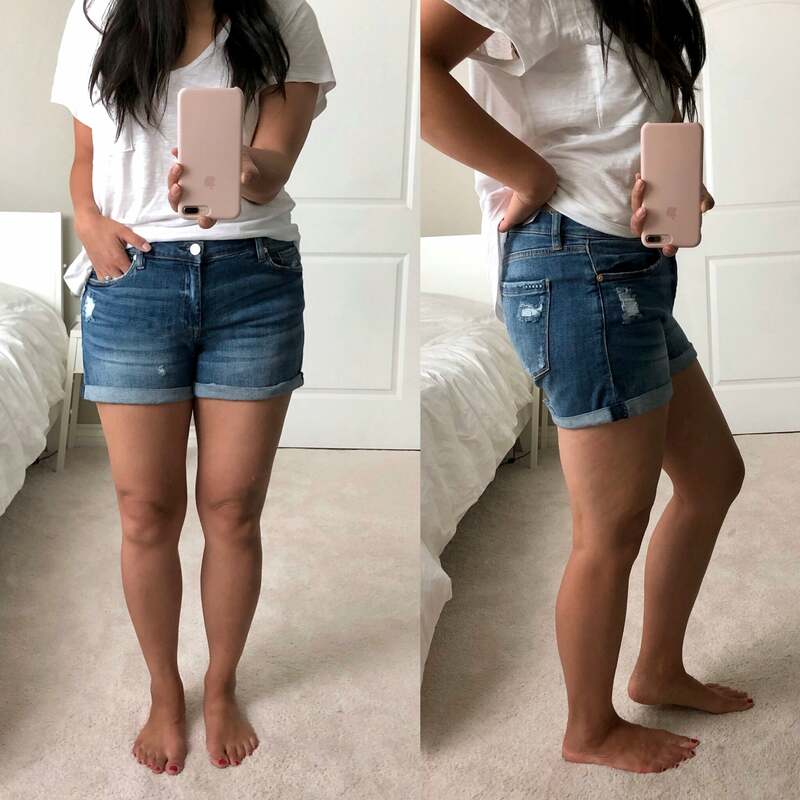 I was convinced that denim shorts were just uncomfortable, but it finally dawned on me that, like how jeans can be super soft and stretchy, denim shorts probably could–and should–be too. 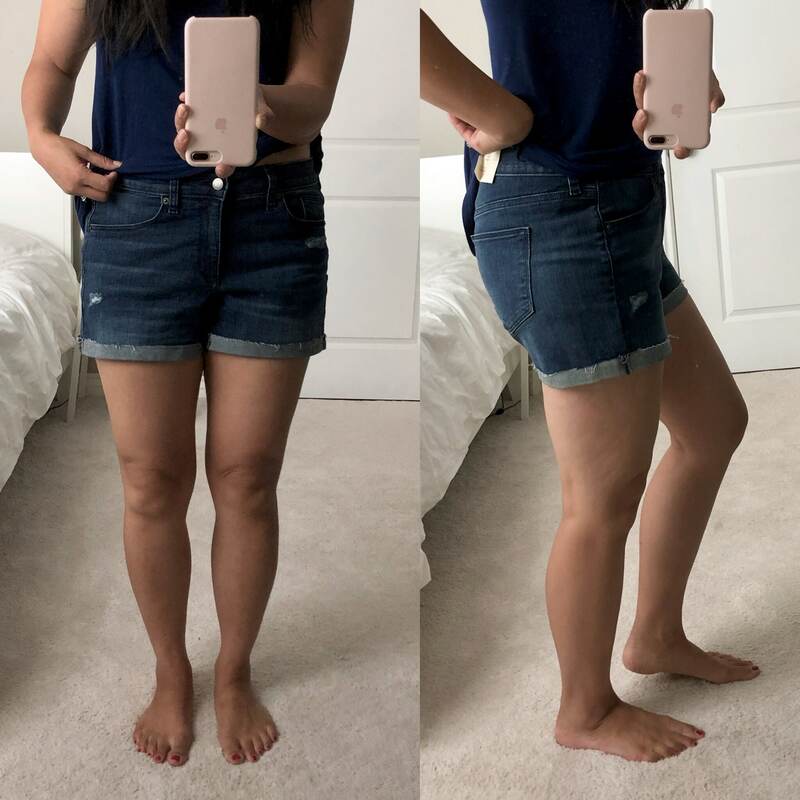 So, I tried 20+ pairs of denim shorts this summer and am sooo happy to say that I found some comfortable denim shorts! Lots, in fact! There are 5 I felt worth highlighting today. They range in price from $16.99 (Whaaaaat? I know, so good!) to an expensive $78. But WAIT. 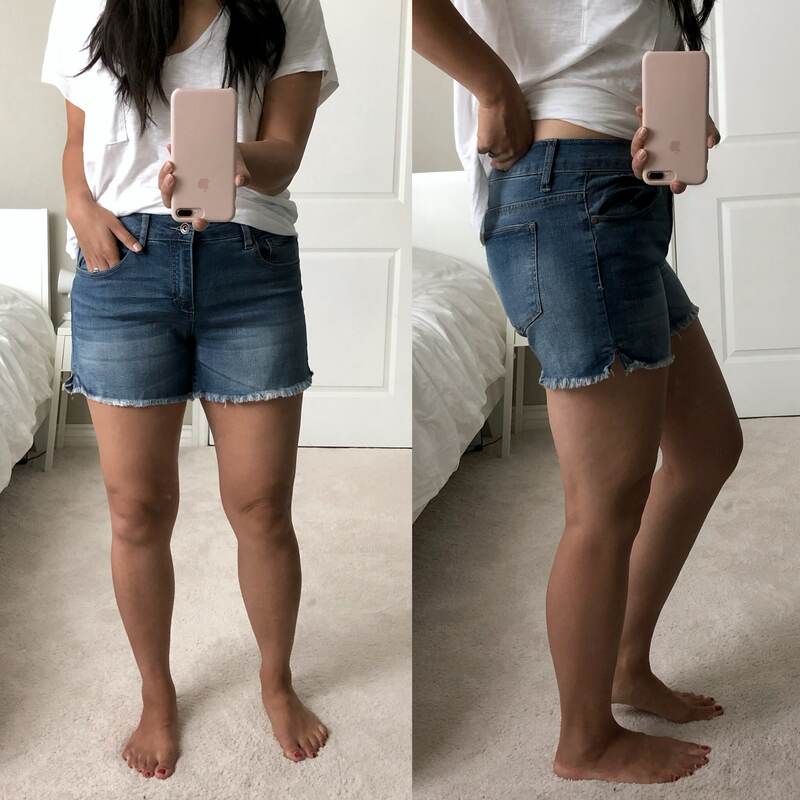 There are even MORE comfortable shorts at the very bottom of this post! So, so, so many! I’m excited to share them with you! SIZING INFO: I’m 5’6″ and usually 6/8 or S/M in clothes, 8.5 to 9 in shoes. 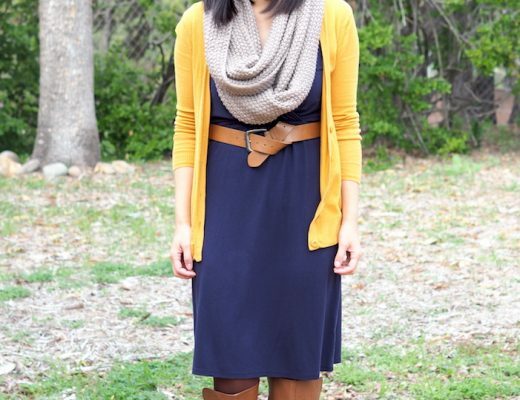 With shorts I personally look for a leg opening of 23″ or more, a 4″ to 4.5″ inseam, and a 9″ rise. These are the most expensive out of today’s 5 shorts (so dang expensive! ), but they also feel the best of the bunch. They’re like my gold standard, and I’m reviewing them first so that I can tell you about the other shorts in relation to these. They are ridiculously soft and very stretchy. The waistband has a good amount of stretch in it too, so it’s quite comfy. I didn’t know denim shorts could feel this good! I’ve tried other pairs from Blank NYC and they all vary a bit in softness, though they are all stretchy. This pair was definitely the softest. They measure a 3.5″ inseam, 23″ leg opening, and 9″ rise. The inseam is a tad short for my liking, but if you remove the stitching that holds the cuff up, you can gain an extra 1.5 to 2 inches. I have yet to do that. Uncuffed, the hem is frayed. I personally like to wear shorts a bit looser. I’m in size 29 which is perfect around my thighs and a bit loose in the waist. I bought mine from Nordstrom, but they are totally sold out. I found these in two places though sizing is limited. Sizes 24, 28, 29, 30, and 31 are available HERE. If you’re size 28 or 29, you can get them on sale HERE! These aren’t *as* soft as the BlankNYC pair (none of these shorts are), but they’re pretty good nonetheless, and they’re stretchy! The waistband also has stretch for more comfort. They have a 9″ rise, 4.5″ inseam, and 24″ leg opening. They stretched out a tad with wear. I started out thinking I’d keep size 11, but the 9s ended up being good. And as you can see, they are not suffocating my legs! Sizes are very limited, but 3, 5, 18, 20, 22, and 24 are available HERE! To get to the plus sized options switch the color to “Medium Blue” and they should all show. Knowing the previous two pairs were on the expensive side, I searched for a cheaper pair that could be almost as good. I tried 5 pairs at Old Navy and 3 pairs at Kohl’s, and 👎🏽. Was not impressed. They were a little stiff, suffocating, or too short. Or, for the Kohl’s pairs the legs were nice and stretchy but the waistband was not at all and dug into me. No thanks. But THEN. THENNNNN I tried this Universal Thread pair, and YASSSSSSSS, yall! YAS! They are pretty soft and very stretchy! The waistband is stretchy too! These are very comfy, AND THEY’RE ONLY $16.99! Are they as soft as BlankNYC? No, nothing is. But they are close enough, and they are way, way, way, wayyyyy cheaper! They have not seemed to stretch out with wear. They have a 4″ inseam, and a 24″ leg opening. You may be able to unstitch the cuff to gain an inch of length. I tried size 10 based on reviews, but I’m curious to try size 8 because I fit size 8 in the pair below. However, I could imagine size 8’s legs not being big enough for me. Sorry, not much help in the sizing department on this one, but wanted to get the word out to try them because they’re an amazing find for $16.99! Get them HERE! And I *think* the equivalent plus size version is HERE. They started out a bit tight and quite stiff. As I wore them through out the house, they loosened up, stretched out, and got softer. That said, they’re still not stretchy, but they’re comfy enough to be what I would throw on for a casual weekend look hanging out with my kids. I started out with size 10, but since they loosened up after a couple hours, I went with 8 instead. 5. Caslon – size 27–ON SALE! These are quite stretchy and very comfortable! The material feels sturdier and thicker, which is probably a good thing for white shorts–they’re not see through. The waistband has a bit of stretch. These have a 4.5″ inseam, 24″ leg opening, and 9″ rise. I own a different pair of distressed white short, and while the legs on those are soft, the waistband is not as stretchy as this Caslon pair. These are way comfier. 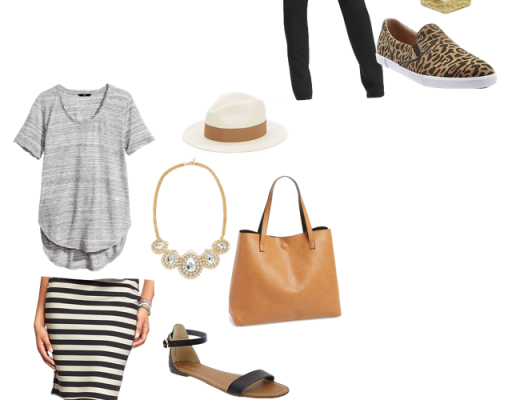 Plus, sometimes I don’t want distressed shorts, so I like this option for a cleaner look. 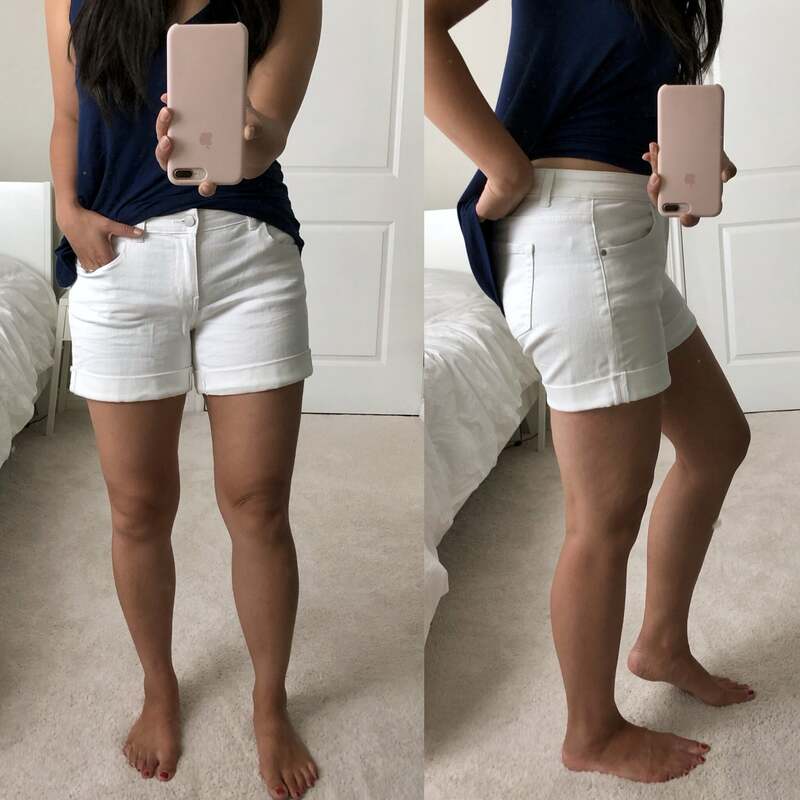 These shorts are great! I’m never a size 27 in bottoms, but I am in these. They run large. These shorts are ON SALE for 40% off. They feel great and are very comfortable! Also available in pink. Get them HERE! There are lots of other shorts I haven’t tried that look promising. Since it’s getting late in the summer I wanted to share them with you so that you don’t have to wait for if/when I review them. They’re in the widget below! If you are read through Bloglovin’ you’ll have to click out of the BL widget to see the widget. Click out HERE. I can’t always include plus sized options, but these came up in my search for shorts as the same brands/styles as some above, just listed separately. GIVEAWAY: A PAIR OF WIT & WISDOM SHORTS OF YOUR CHOICE! As promised, in light of the Nordstrom Anniversary Sale, I’m running a giveaway in nearly every post over the next few weeks! Today, we’re giving away a pair of Wit & Wisdom shorts of your choice! I chose these because they’re available in petite and plus sizes as well. Fill out the Rafflecopter below to enter! Summer Sales + Summer Favorites Restocked! I bought the first pair of Universal Threads shorts that you show after you recommended them in a previous post. I LOVE them!!!! So comfy. I never would have tried them had you not mentioned them. I am definitely going to have to try the Wit & Wisdom jeans and shorts based on your reviews. You and I have the same needs/preferences with shorts and pants. Have you tried New York and Company? Their shorts are the only ones I have that I like. They have some with elastic waistbands and 4” Inseams that are my new favorite. I would choose the High Rise Tencel Shorts. 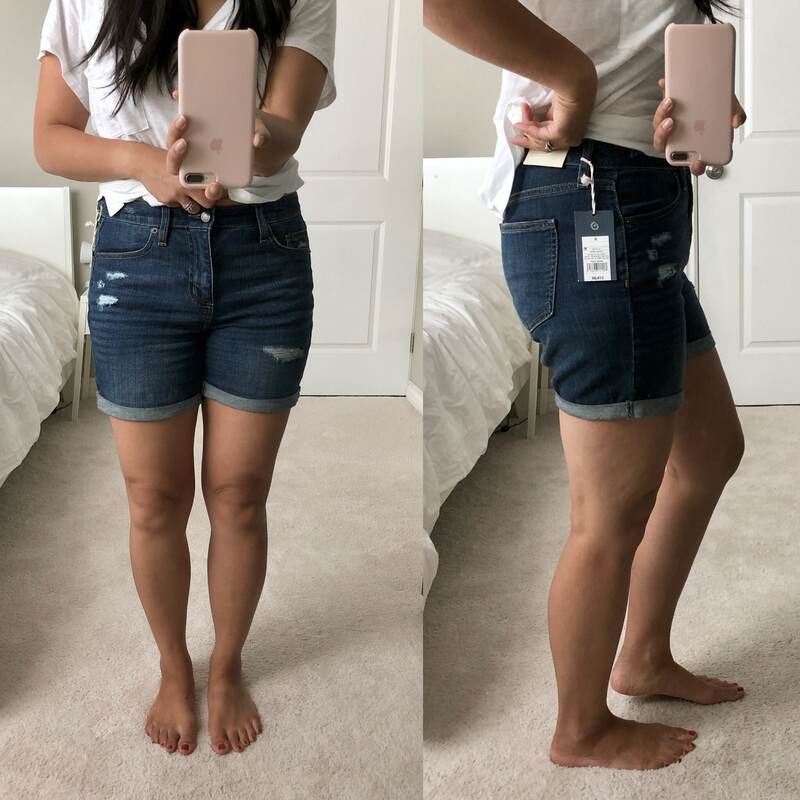 I recently ordered a bunch of shorts from Target (all Universal Thread) while they were on sale, and did not keep ANY of them! They say they are “mid-rise” but they go up past my belly button and feel SO uncomfortable to me, especially sitting down. They are the highest rise “mid-rise” I’ve ever seen. I tried the 5″ inseam boyfriend pair, the mid-rise roll-cuff boyfriend, and the high-rise destructed bermuda and none of them worked for me. I ended up with a pair of American Eagle Outfitters tomgirl jean shorts that I love and kept. Last year I bought two pairs of Levi’s Denizen from Target and loved them both as well. The Universal Thread just doesn’t work for me! I have the 5″ Universal Thread shorts and I do like them a lot and I wear them ALL the time. The midrise is a pretty high rise (as Christine pointed out) but it works well for me because I have a long torso. The one thing I don’t really like about them is I find they stretch out quite a bit with wearing. Where they’re perfect when I put them on, after a few hours they are more of a boyfriend fit. But for $20, they were good enough to keep and are more of my super casual, wear-around shorts. I have a pair of the Universal Thread skinny high waist crop jeans and I LOVE them! They fit so good and they don’t stretch out. Great review post! I really like the Universal Thread shorts because the price is great and your review was informative. But I’m also loving the Caslon white pair. I have a white pair with distressing, and i agree with you in that sometimes you don’t necessarily want distressing all the time.